I found this great product called Garage Defender. This thing is going to save you some worry and stress. I was watching the news the other day where a burglar had broke into a home through the garage by using a hook to pull the string and open the garage. The Garage Defender is a shield that’s really sturdy and well made, nothing is getting through it once installed. 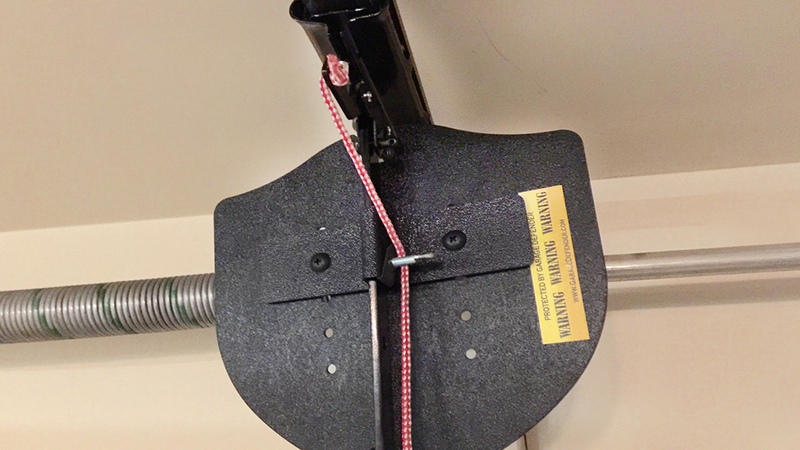 You install this and connect the string to your garage to it to prevent burglars from being able to pull it and open your garage. Now you have peace of mind that your garage is secure and safe. I don’t know how many times I’ve see on the news that homes are broken into through the garage so this is a great, easy, and cost effective way to keep your home and garage safe! You can purchase it on their Website!